Wedding Photography, Takes or Outtakes? Was it something I said? You better believe it was! One of my favorite parts of photographing a wedding is making the images of the bride and groom alone. I like getting the bride and groom some alone time after the ceremony and before the reception so they can relax a bit, calm their nerves and enjoy each other’s company, before it’s time to get going to the reception. While, I love a good party as much as anyone else, the more time I have with the couple alone, the more great images I can create. 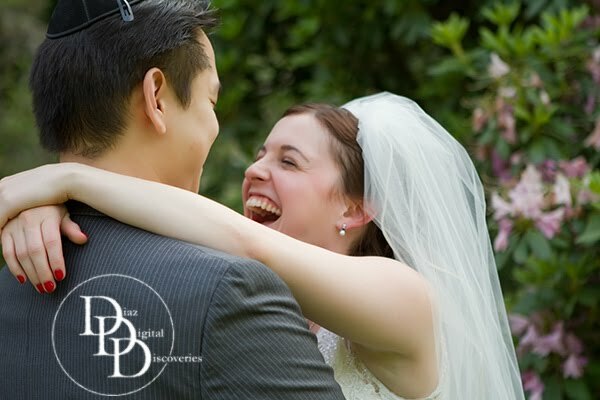 I love to interact with the couple during these formal photos and create some real time images that show the emotion and the fun they are both having. Since the wedding day goes by so fast, my goal is to make images that will remind them of how much fun they had that day, every time they look at the images, again and again. We create a mixture of images with all the different feelings of the day. For instance… This image series from a recent wedding has something for everyone. Which one of these three images is the Outtake? That depends on who you are. Everyone has a different favorite and we are able to photograph your wedding the way you want to remember it. Or, if you are like me, you love them all! So which one is the outtake? For me, none of them. You pick your own favorite. No matter what you want your photographs to reflect about your wedding day, you can count on us! We can do it all as you can see from these images. Now, go tell your friends!!! We love to photograph weddings…and it shows!